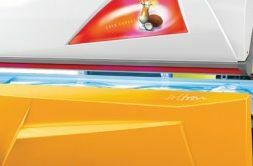 At KIX, we feature 5 different levels of UV tanning, and two of the best options available for Sunless Tanning. 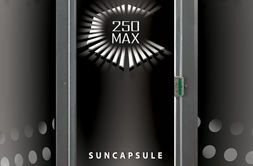 We always re-lamp our equipment with the best quality tanning lamps well before the suggested expiration time. 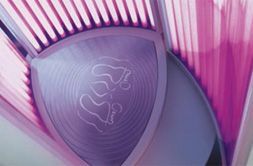 To compliment our UV tanning, no expense was spared to offer the best, most innovated Sunless Tanning equipment as well. 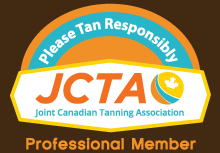 Now, even those wanting to avoid, or limit UV exposure, can easily get a realistic, natural looking tan, fast. 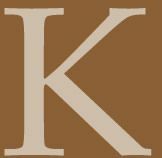 Exclusive to Kix Tanning is B. 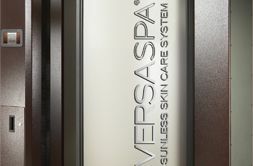 Brown Airbrush Tanning, and the all new, ultra futuristic, Versa Spa Skin Care System, recently voted "Best Spray Tan". •	Take a professional approach with the care of your skin. •	Provide an extremely clean, well maintained facility. •	Price our services fairly and competitively, ensuring top value for your money. •	Make constant upgrades to equipment and stay current with industry standards. •	Tell the truth, and nothing but the truth, regardless of financial gain. •	Make you feel welcome, and greet you with a smile, every time. •	Show the utmost discretion to respect, and protect your privacy. •	Have ample free parking, late, and holiday hours for your convenience. Don't waste your money on a bad Sunless Tan! For results you can be proud of come to the experts at Kix Tanning. Amazing Skin Rejuvination with Red Light Therapy Ergoline Beauty Angel. Ultimate Coverage with 7 Minute Maximum Exposure Time. Great For Both New Tanners and Those Who Want a Longer Session to Relax.